Welcome the new service from CrorkService! 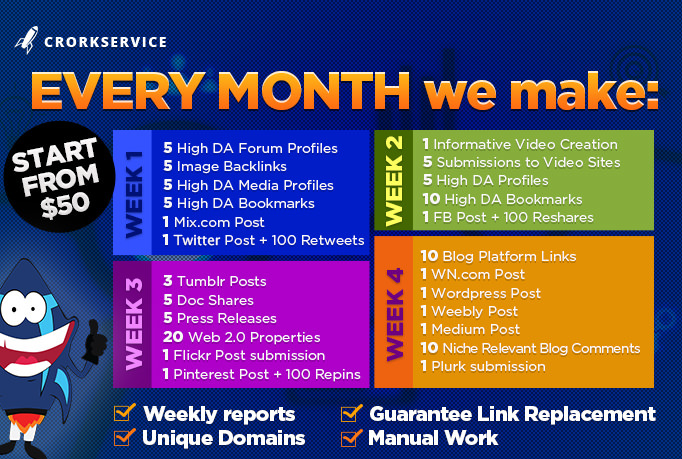 In this service you have a good opportunity to buy link building package at once for 3 months! Delegate your SEO efforts on us! Buy now and receive reports every week! 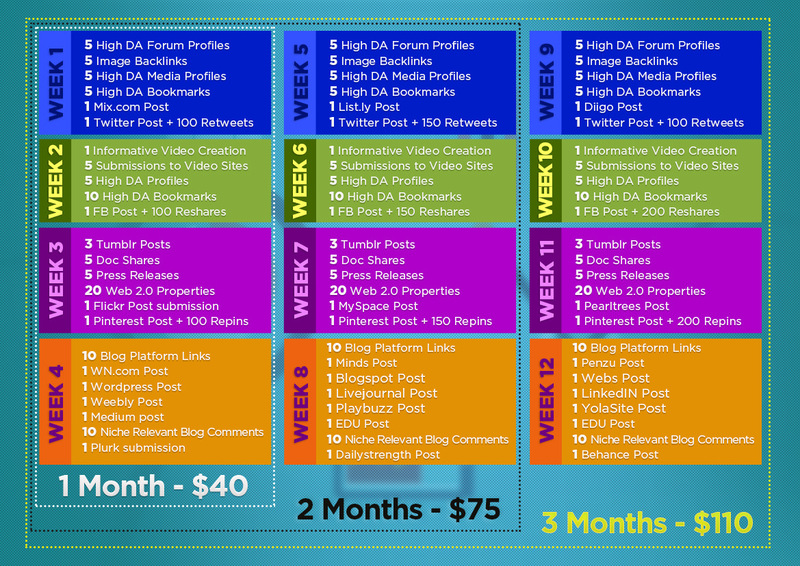 Buy this package for 2 or 3 month and get big discount! We promise that all links will be from unique domains, no duplicates! 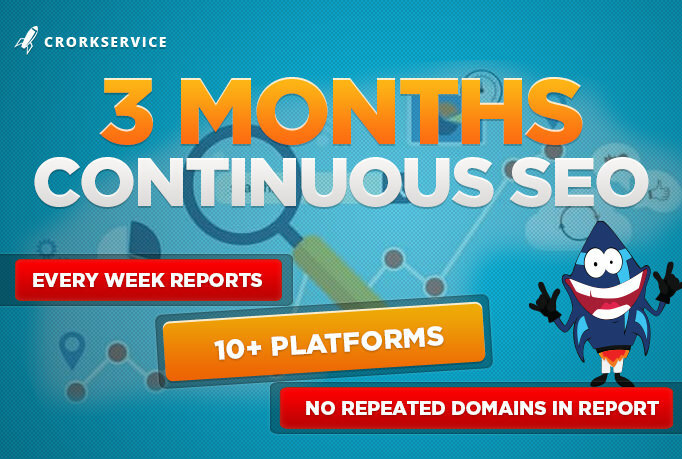 For example, in 1st month you will receive 20 web 2.0 properties, in 2nd month you will receieve 20 wp from another 20 domains, and in 3rd months you will get another 20 web 2.0 properties. You will get reports every week. 2nd package is for 2 months, 3rd package is for 3 months. Order will be closed after 30 days, but you will continue to receive reports during 60 and 90 days.